A regulation that requires aspiring taxi drivers to possess a minimum qualification of class eight to be eligible to drive taxi will be done away with. 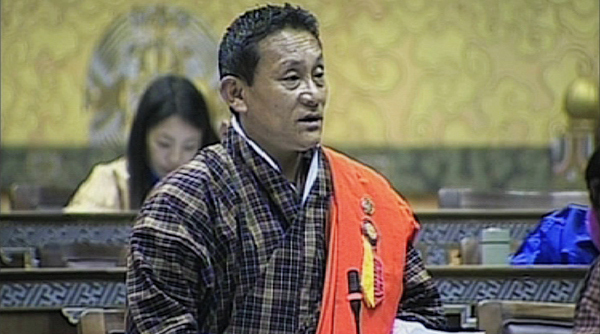 The information and communications minister shared this at the National Assembly on Friday in response to a question from Khatoed_Laya MP Tenzin. MP Tenzin said doing away with the qualification requirement would enable less qualified people to earn a living by driving taxi. “It is important for the drivers in the government and tourism sector to have qualification but the taxi drivers are low-income people. I don’t think the minimum qualification requirement is relevant for them,” he said. He asked what the government is doing to address the issue. In response, Minister Karma Donnen Wangdi said doing away with the qualification requirement for the taxi drivers was one of the government’s campaign pledges. He said the government is working to scrap it. The minister said the qualification requirement is unnecessary as the applicants are required to attend professional driving course, and give written and practical tests. He, however, added the limit on the number of taxis would continue to remain in place. The government is also looking into allowing the taxis to operate beyond the permissible nine year period. The MoIC minister said if the taxis pass the road worthiness inspection, they would be allowed to operate past the maximum nine-year limit.